Private tastings with vintner Joe Wolosz available by appointment only. We have a need to just be human in this very digital age, to reconnect with what is real. To hear a story told in an authentic voice. It is the tactile, the analogue, and the acoustic that touch us. It is also the artisanal. Winegrowing is at the crossroads of nature and culture. It is a balance between the imagination of the craftsman and the wisdom of the grower. Working with what Mother Nature gives us, we celebrate the vintage and the variations that come with each one. We err on the human side of winemaking. We craft our wines at a cooperative where we share space with a few other wineries. The tasting room is at the cooperative, Silenus Winery. Wine Education: Vintner Joe Wolosz is a Certified Specialist of Wine and can give down to earth answers to most wine questions. 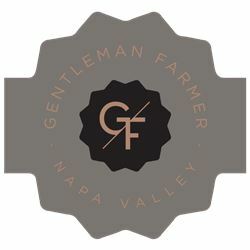 To join the wine club, visit www.gentlemanfarmerwines.com or call 707-948-6107.